​Our newsletter will provide updates from our programs, our fellow Climate Reality Leaders who are making difference and how each one of us can act to solve the crisis. And, we would love to know your story and act of leadership, because every action does matter. 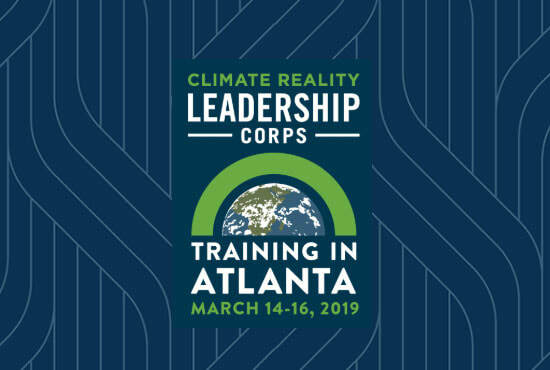 At Climate Reality Leadership Corps training's, individuals ready to make a difference in our planet’s future spend three days working with former Vice President Al Gore and world-renowned scientists and communicators learning about the climate crisis and how together we can solve it. Climate Reality Leaders come from all walks of life. But they all share the same desire to make a difference and help create a sustainable future for the Earth. 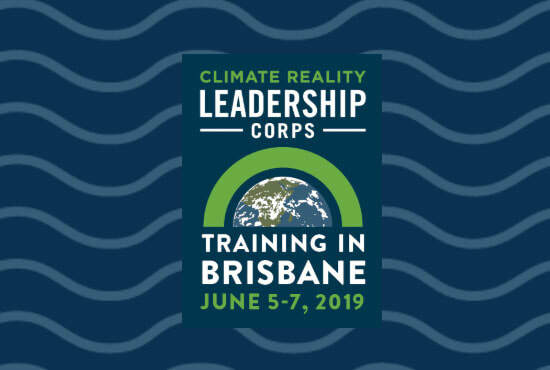 Join us for the upcoming Atlanta and Brisbane Training's and gain the skills, knowledge, and network to shape public opinion, influence policy, and inspire your community to act at this critical time. On 3-4th December, we traveled across the Earth for 24 hours to learn more about how fossil fuels and climate change are creating unique health risks that threaten the wellness of families and communities all over the world. Indian hour featured a live presentation by Vice President Al Gore, an in-depth look at the formation of the International Solar Alliance, and conversations with Dr. K. Srinath Reddy, the president of the Public Health Foundation of India, and World Health Organization regional director Dr. Poonam Khetrapal Singh. 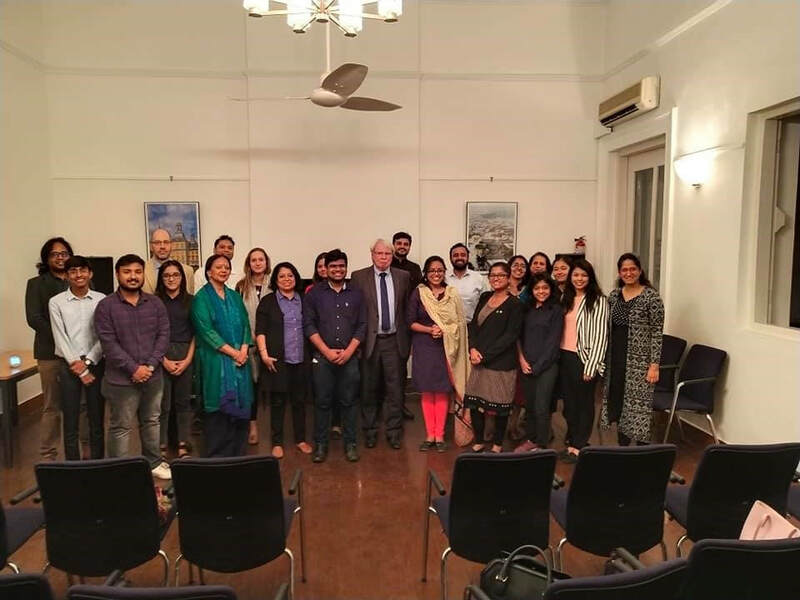 Climate Reality India with TERI SAS hosted a watch party and a panel discussion on Climate and Health. As the theme at the event was around Climate and Health, posters, banners and standees were created and shared it with all other watch parties across the country and on social media. The watch party in TERI SAS was attended by around fifty people. Aditya Pundir, Country Manager, The Climate Reality India, moderated a panel discussion with Dr. Prince from Doctors without borders, Mayank Aggarwal from Mongabay India and Fawzia Taranum from TERI SAS. After the watch party a presentation was made by Dr. Prince about how climate and health are related with on field examples. He also spoke about the Climate Migration in various countries across the world. Mayank Aggarwal spoke about Solar energy and how it is helping in reaching last mile in India. Fawzia Taranum spoke about need for climate communication and role of water and climate change. 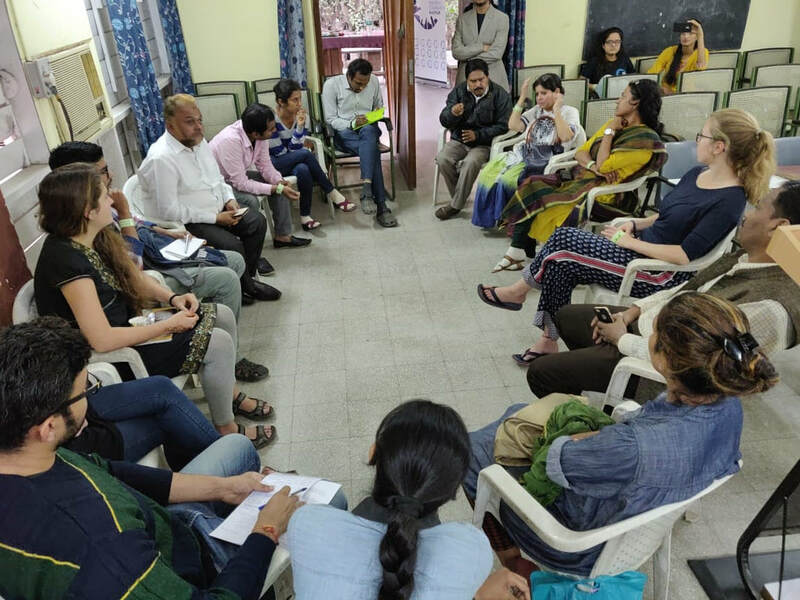 The Climate Reality Leaders and Partners also organised watch parties to spread the awareness about the impacts of climate change on our health and carry the message forward to "Protect our Planet and Protect Ourselves". 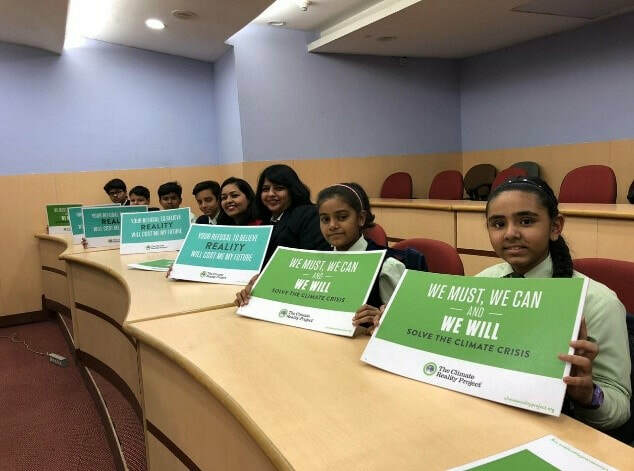 The Climate reality India team conducted awareness and sensitization programs in Chennai. Presentations were delivered at the Asian College of Journalism and Stella Marris about the reality, science and solutions of climate change and a half day Principal Conclave and Teachers’ training Program was conducted with the teachers of Jain Public School on Climate Change and Sustainable Development Goals’ Education for safer planet. Asian College of Journalism is one of the sought-out college in India and produces 250 post graduate journalists every year. 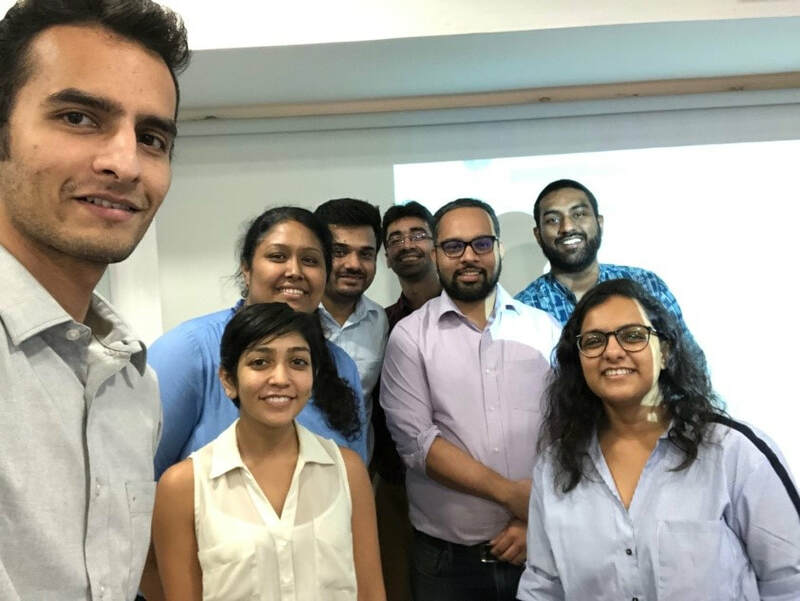 Aditya Pundir, Country Manager, The Climate Reality India gave the Climate Reality presentation to the budding journalists. The inquisitive students asked questions ranging from climate science to climate negotiations in the question and answer session. These future journalists can certainly be very helpful in carrying the message of climate reality forward. Stella Marris is one of the oldest colleges in Chennai. Around 60 students of the college from English Lecture attended the Climate Reality presentation by Aditya Pundir. The presentation was well received by the students and the staff. The College Management is interested in working on a curriculum which can include Climate change as a part of the syllabus. Around 68 Principals and 26 teachers attended the Principals Conclave held at Jain Public School, Chennai. 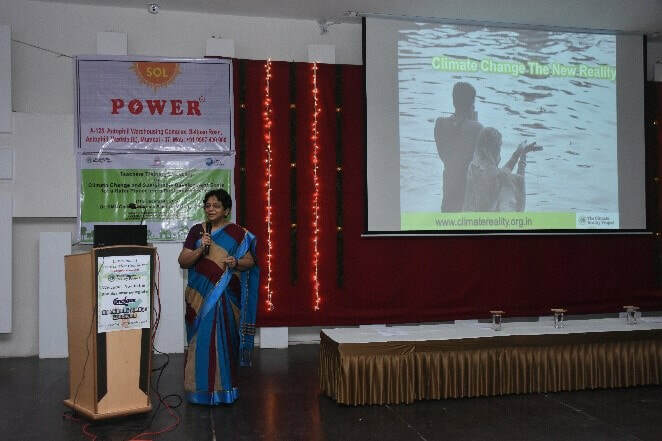 The main aim of the workshop was to provide an overview on climate change and Sustainable Development Goals (SDGs) and sensitize the teachers of schools and colleges in Chennai, Tamil Nadu, about the relevance of teaching climate change and Sustainable Development Goals (SDGs), and to bring leadership in schools and colleges for the change. Professor Praful Dhal, District Manager, Bhubhaneshwar and a Climate Reality Leader held a workshop at Sri Sri University, Bhubhaneshwar, Orissa to make students and staff of the college aware about Global warming and its adverse effects on our climatic conditions. More than 100 students and staff members attended the workshop. 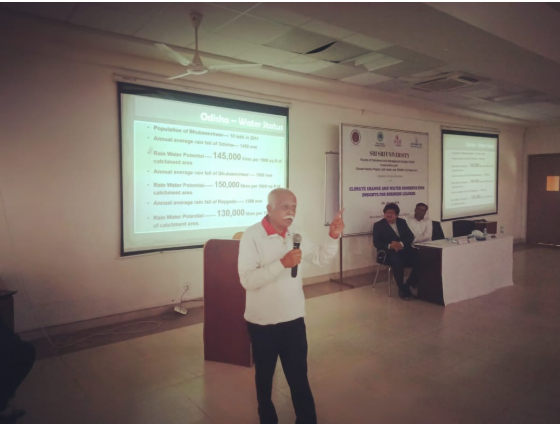 Colonel Shashikant Dalvi, National Coordinator for Water Conservation, The Climate Reality India was amongst the eminent speakers for the workshop. He talked about the reasons behind global warming and its rise since industrialization. He also explained the reasons behind the extreme climatic events in India in the last few years, especially mentioning the Kerala floods of 2018. He told the students how an individual, housing complex or an educational institution like SSU can reduce carbon emissions with little efforts in doable and economical way. Talking about the impact of climate change on the availability of water, he explained the status of underground water in India and how age-old simple methods of ground water recharge can help in raising the deleting ground water table to tide over water shortage and how such methods can also help in reducing the carbon emissions. Citing the example of Viman Nagar Society, Pune, he told the students how the society was able to reduce their annual emission of CO2 by 18.72 metric tonnes by saving energy and 10.5 metric tonnes by practicing rain water harvesting. Colonel Dalvi requested the Dean of the University and the students to take green actions to reduce the carbon emission on the campus. 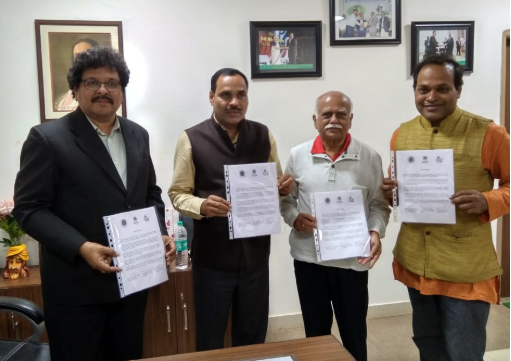 The Dean of the University Professor Subbarao readily accepted the request and a letter of intent was signed to take this green initiative forward. Mr. Raj Mohan, Climate Reality Leader and founder of Sustainable Green Initiative (SGI), has been working in the region since 2015. He has planted 1000 hybrid coconuts for the tiger widows and 10,000 fruit trees for marginal farmers in the island of Bali 1 in Sundarbans, in last two years. This year, Climate Reality India supported Mr. Raj Mohan, in planting and distributing 51000 trees and mangroves saplings at Kumirmari island in Sundarbans, West Bengal. SGI started a mangrove planting project with the Sundarbans Green Environment Association (SGEA), a local NGO run by natives. The Sundarbans in Bengal (Bangladesh and West Bengal, India) are the largest single block of tidal halophytic mangrove forest in the world. 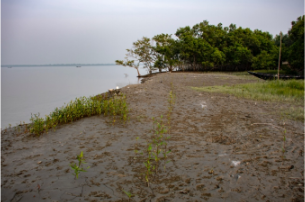 A place of extreme humidity, low altitude, large amounts of silt and constantly changing salinity, the Sundarbans was, until a few decades ago, an excellent example of how man and nature could live and thrive together. The habitat supports approximately 4.37 million people. Also, research says that the Sundarbans have soaked in 4.15 crore tonnes of carbon dioxide. It is clear that climate change has the potential impact on the ecosystem services of the Sundarbans and dependent livelihoods. With rising sea levels, islands are disappearing, and the increasing salinity in the water and soil has severely threatened the health of mangrove forests and the quality of soil and crops. Loss of the mangrove forest will result in the loss of the protective biological shield against cyclones and tsunamis. This will put the surrounding coastal communities at high risk. Man-made hazards such as setting up of power plants in the area, intensive agriculture, rising water levels, and unplanned growth of shrimp culture have made the ecosystem an extremely fragile and more prone to erosion. The urgency to protect the land from the rising water levels has resulted in mud and concrete embankments. Although protected, villagers are slowly coming to understand the problems associated with these methods. Sundarbans, on one side is highly sensitive to climate change, but provides strong opportunity and scope for climate mitigation. One of the effective solutions is planting mangroves, which play a crucial role as a carbon sequester and holds the soil together with their deep-root system. On 11th December, one day intercollegiate conclave was organised by Environment Sensitization Committee of DR BMN College of Home Science in collaboration with The Climate Reality Project India. 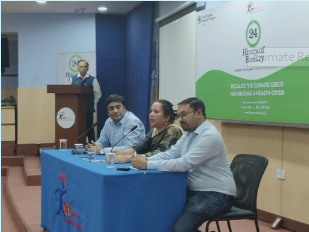 Ms Nandini Nerurkar Deshmukh, District Manager, Mumbai was the chief speaker for the event where she gave the Climate Reality presentation talking about the rising temperatures and its impact on the Climate in reference to India. She also explained the 17 Sustainable Development Goals to the students and teachers present. 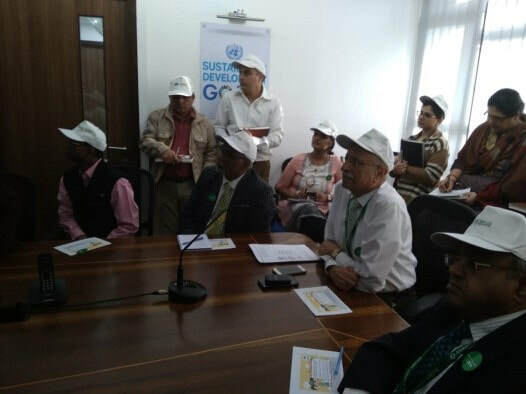 This provided an overview on climate change and Sustainable Development Goals (SDGs) and sensitized the teachers about the relevance of teaching climate change and Sustainable Development Goals (SDGs). 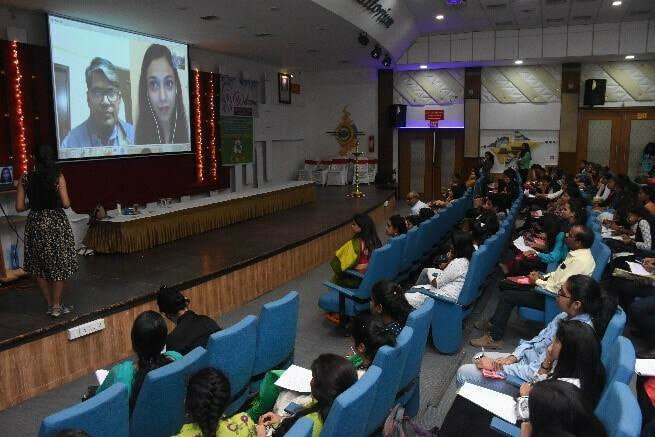 The Programme was joined by Ms Sheetal Antil and Mr Rakesh Kamal from The Climate Reality project India through video conferencing. They answered all the queries and questions of the participants regarding climate change. The conclave helped the 300 attendees which included students and Teaching faculty in understanding the urgency to protect our environment, climate change education and the part they can play in reducing the carbon emissions that lead to the change in climate.